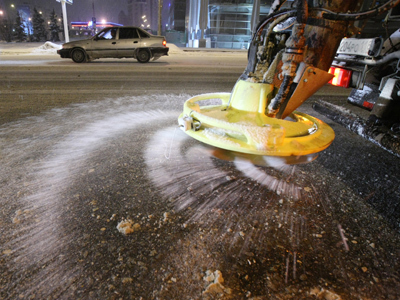 Toxic and even radioactive elements have been found in de-icing substances used for clearing Moscow streets from snow, according to data gathered by a group of activists. City authorities deny the allegations. 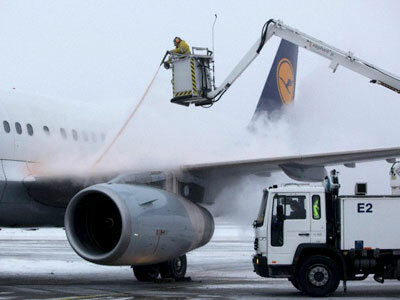 ­De-icing chemicals have never enjoyed public affection in Russia. They are mostly associated with damaged footwear and burned pet paws. However, annoyance turned to anger after community group ‘For Safety on Russian Roads’ announced the results of its recent investigation. "I can, of course, emotionally say that yes, we are being poisoned by radiation and scattered with something horrible. But if we put emotions aside, we have now gathered samples of chemicals from sidewalks and found out that substances prohibited years ago are being used once again. These include Radionuclides,” says Roman Kornilov of For Safety on Russian Roads, as cited by Kommersant daily. 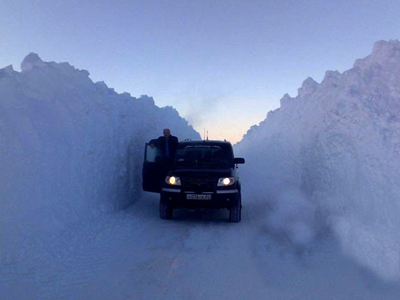 The group specifies that Moscow roads are being de-iced with yellow halite and a substance known by the abbreviation SBG. Yellow halite is described as “exceptionally harmful for people and nature.” SBG is an electrolyte slime of Solikamsk Magnesium Works, i.e. industrial waste which contains toxic elements. These include K-40 (kalium-40), which takes 1.3 billion years to disintegrate and belongs to materials of third-class radioactive danger. It was prohibited for use in Moscow in 2006. Not everyone joined in the chorus of the panic-stricken, though. “I became interested in what halite was and started searching Wikipedia… Halite, commonly known as rock salt, is the mineral form of sodium chloride (NaCl).” famous Russian blogger, Maksim Kononenko wrote. It may be mere salt, however online shops selling de-icing substances specify that halite is not recommended for use in Moscow. 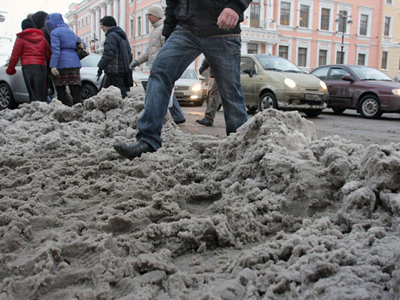 City authorities deny all allegations of harmful substances being used to remove snow from the streets. “All chemicals used in Moscow went through state and environmental examination and were approved, so the accusations sound strange. 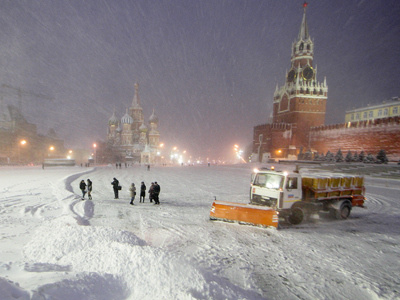 Moreover, Moscow is not a city for experiments,” said a Moscow government official cited by RIA Novosti. Moscow Duma MP Kirill Shchitov, however, decided to double-check and sent out inquiries to four institutions: the Moscow Prosecutor’s Office, Consumer Protection Agency and the city government’s Departments of Environmental Protection and of Housing and Public Utilities. Scientists meanwhile say the point is not only the quality, but also the quantity of substances. “Today we are allowed to use three times more salt than in previous years… The effect of salts on city utilities has grown and it’s going to instigate risks to industries and nature,” says Professor Dmitry Khomyakov, deputy head of the Agroinformatics Department at Moscow State University. 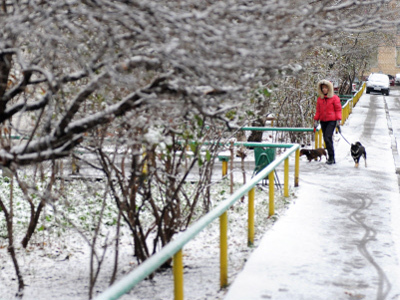 One recent example of how de-icing substances harm utilities is the February 1 blackouts in St. Petersburg, when 20,000 people were left without electricity. Lenenergo, the power company, laid the blame on the chemicals: “The reason for power grids breakdown was diffusion of chemicals over the city roads,” says the company’s press release. 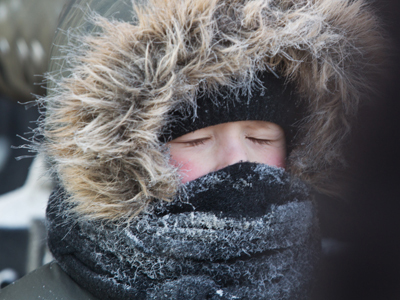 Moscow officials say they simply can’t do without chemical agents, taking into account that this week saw record-breaking snowfalls – the heaviest in the Russian capital since the beginning of the century.